Short on cash or time, but still want to experience the excitement? Then Go Wild Express is for you. Only two hours long and available near the end of the day. 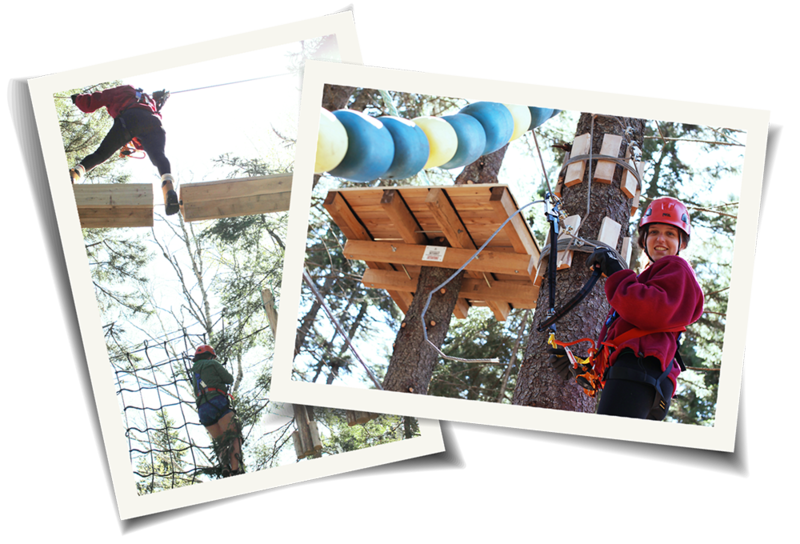 All 6 Go Wild courses, and 61 challenges, are accessible with Go Wild Express. The Flying Squirrel is also available as an upgrade. Group pricing also available. *Prices above not including HST. We require adult supervision for all climbers under 15. The supervising adult must be climbing in the courses with children ages 8-11. Supervising adults of adolescents 12 and older can watch from the ground. Those 5-7 who are on the Little Whiskers courses must be accompanied by at least one adult (19+) and one other person 13+, who must also participate in the courses with one going ahead and one going behind to assist the junior climbers. P.S. Don’t forget The Flying Squirrel is available as an add-on for $4.99 or less with Go Wild Express! We offer the option to complete it online, or you can fill it out when you get to the park. Note that any minors participating must have their waiver signed by a parent or guardian.